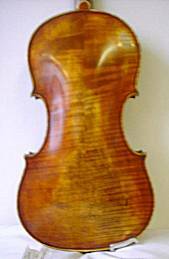 Dealers, restorers and makers of fine new and reproduction instruments. 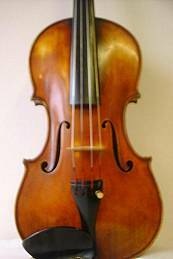 Your teacher realises the excellent value offered by a high quality modern handmade instrument and has recommended us to you. Perhaps you’ve played one of our instruments, or you have an instrument on loan which you must give back and you just can’t live without that sound? 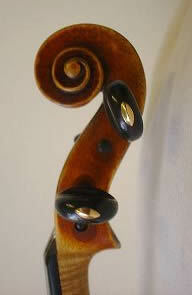 Maybe, although it’s what you dream of, you can’t afford the price of an old Italian instrument? Come to see us and tell us about the kind of sound you have in your imagination and the sort of violins you love the look of. We will advise you on the dimensions, the model and the neck profile which constrains your playing the least. Following our discussion with you, we will look through our wood stock and decide how best to bring your dreams to fruition. Will you have one or two piece back? Can you afford thirty year old Balkan maple which is beautiful but is there any tonal advantage in choosing it? Does hazel spruce really sound better? How much will it all cost?